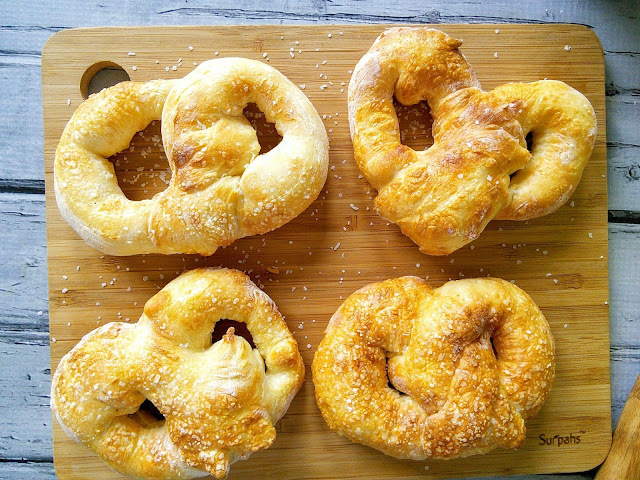 These soft baked pretzels are so easy to make! Have you ever made soft baked pretzels before? They can be a pain in the rear to make. With the dough rising and having to soak the pretzels in a soda bath, it can take all day to make those pretzels. So when I discovered an easier way/recipe to make soft baked pretzels, I just had to make them. I am so glad that I tried the recipe. My family loved the soft baked pretzels that I made from only two ingredients! 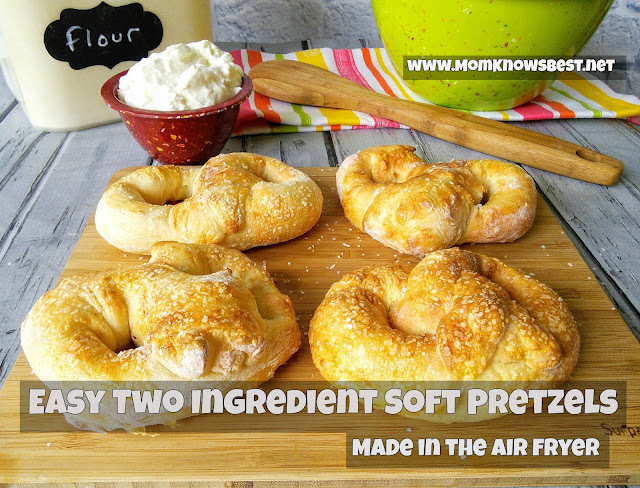 I also made my pretzels in my air fryer but don't worry you can make these in the oven too. This recipe is incredible and the pretzels taste so delicious. You need only two ingredients! The two ingredients that you need for these soft and chewy pretzels are self rising flour and Greek yogurt. I always have yogurt in the house as my boys eat tons of it. Did you know that you can make your own yogurt with an electric blanket? That is how I make my yogurt and I also make Greek yogurt. Check out my links for the recipes. You can also buy Greek yogurt at the store. Don't worry if you don't have self-rising flour as you can easily make some with 2 teaspoons baking powder and 3/4 teaspoon salt per one cup of flour. Greek yogurt is loaded with protein so these pretzels have lots of protein! These pretzels are super easy to make! You simply combine the flour and Greek yogurt in a bowl. Then you knead it a bit and form them into pretzels. You can also make other shapes if you like. Then you bake for 12 minutes in the air fryer or about 25 minutes in the oven. It is that simple! A warm fresh chewy soft pretzel in about 30 minutes is awesome to me. 1. In a medium bowl combine the flour and yogurt, mix with a fork or spatula until well combined (it will look like small crumbles). 2. Knead the dough on a lightly floured surface until the dough is no longer sticky. Add more flour if needed. 3. Divide the dough into 4 pieces and roll each into a ball. Then roll the ball into a 3/4 inch rope and form that into a pretzel shape. 4. Lightly brush the egg white onto the dough and sprinkle kosher salt on top. 5. 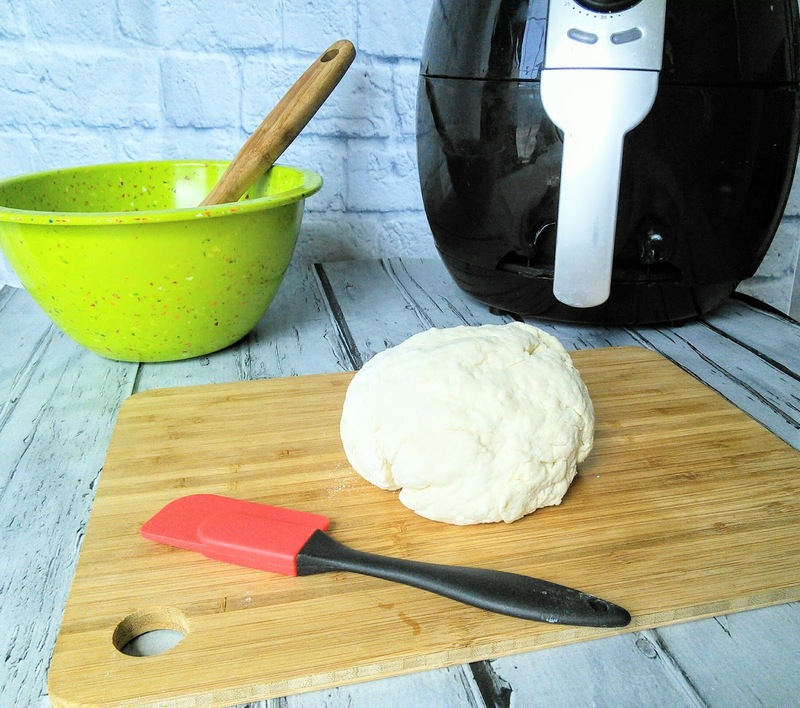 Bake the dough in a preheated air fryer or oven. Preheat the air fryer at 325F degrees for 12 minutes. Spray the air fryer pan with non-stick pan spray. Place 1-2 pretzels at a time in the pan so they are not touching each other. Cook for 12 minutes or until golden brown. Let cool 10 minutes before cutting. Preheat oven to 375F. Place parchment paper or a Silpat on a baking sheet. Place the dough on the baking sheet and bake for 25 minutes or until golden brown. Let cool 10 minutes before cutting. *If you don't have self-rising flour, just combine 1 cup of flour with 2 teaspoons baking powder and 3/4 teaspoon salt. You can also make bagels with this dough! I made some delicious everything bagels with this dough and they were awesome. They tasted like real bagels. 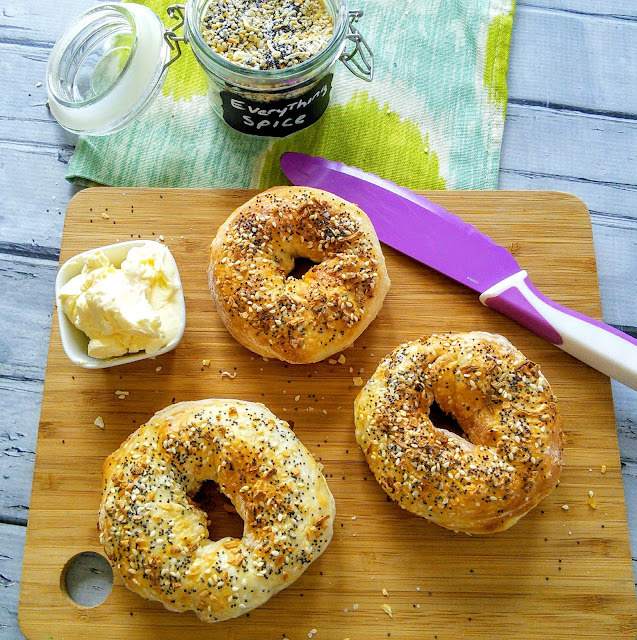 I even topped my bagels with a homemade everything bagel spice that was so tasty. I use this spice on everything from eggs to vegetables. I just love this spice on avocado toast! 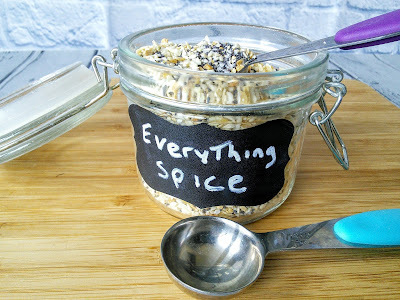 Click on the below links/pictures for the recipes for Easy Two Ingredient Everything Bagel Recipe and Homemade Everything Bagel Seasoning Spice. I love this Everything Spice on avocado toast! This looks like it's so fun to make and simple enough to try! Plus, I love pretzels!! Oh myyyyy!!! This looks too good to be true. I think this would be fantastic to make with the kids! Oh my goodness how delicious does this sound, I love that it is simple and easy to make, I most definitely need to give it a try. That looks so easy and delicious! I love pretzels so this would be a no-brainer to make! Oh my! I can't wait to try these! I absolutely LOVE pretzels. These look really tasty. I bet they are goof with cream cheese. Another on my favorites. I like pretzel, especially kneading the dough. And really excites me once it's done, because they are so delicious. I absolutely LOVE soft pretzels! Thank you for this recipe! I'm definitely going to try it! Wow I love pretzels and only tend to get them when I go out. now with this recipe I'm definitely going to have to make them! I pinned this for the future. i would love to make my own pretzel and this isnt a lot of ingredients so I can try to this! Since pretzels are super easy to make. Will have my spouse give it a try. Thanks for the directions. Never knew that making pretzels can be this easy. Looks delicious! I really love pretzels and I can't believe how easy these are to make. They are perfect for family movie night. Never made Pretzels before but your post makes it seem pretty easy. Thanks for sharing.